it's a pretty shot with the white dogwoods. Aww this is such an adorable scene. I love the birdhouse. That's a lovely photo. The bird house is so pretty, and the tree is just gorgeous. Such elegance in your BW shot! Love the flowers of the tree! 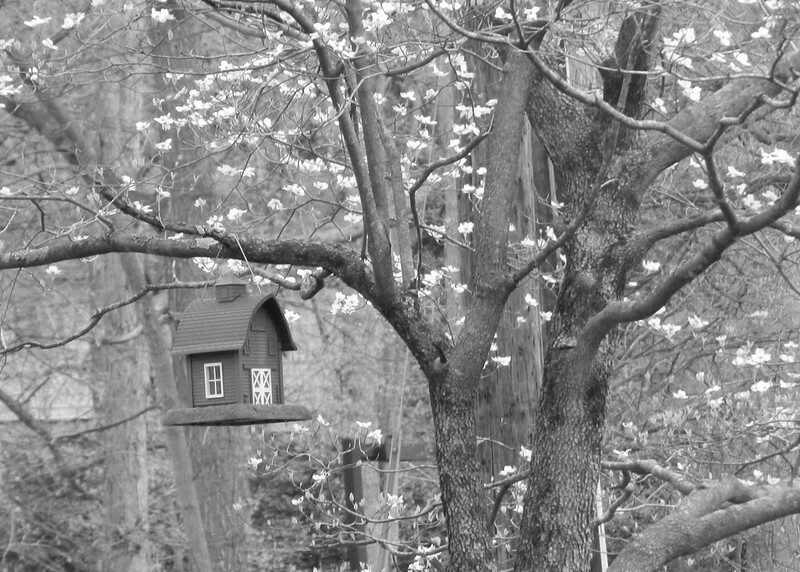 Delightful framing of tree boughs and blossoms round the cute little bird house. Wonderful shot and a lovely birdhouse, Carver! Very wonderful shot, Carver. Lovely birdhouse and tree! Beautiful photo in B&W! Really lovely birdhouse! Love this! Shows off the pure white blossoms beautifully.